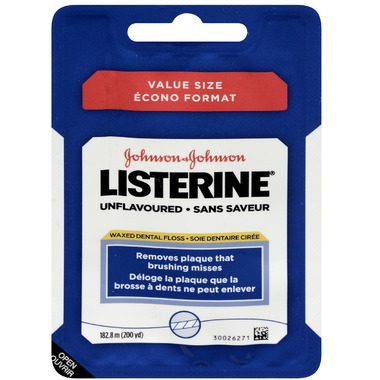 Remove that pesky plaque left behind after brushing with Listerine Waxed Dental Floss that slides easily between teeth. Unflavoured. My favorite. Strong, perfect thickness, no artificial mint taste after. very good dental floss. does not break even on very tight teeth.